Welcome to the Chicago Neighborhoods, a personal design project by Steve Shanabruch. The project started in 2011 as a way to bring two of my loves together: Chicago and design. 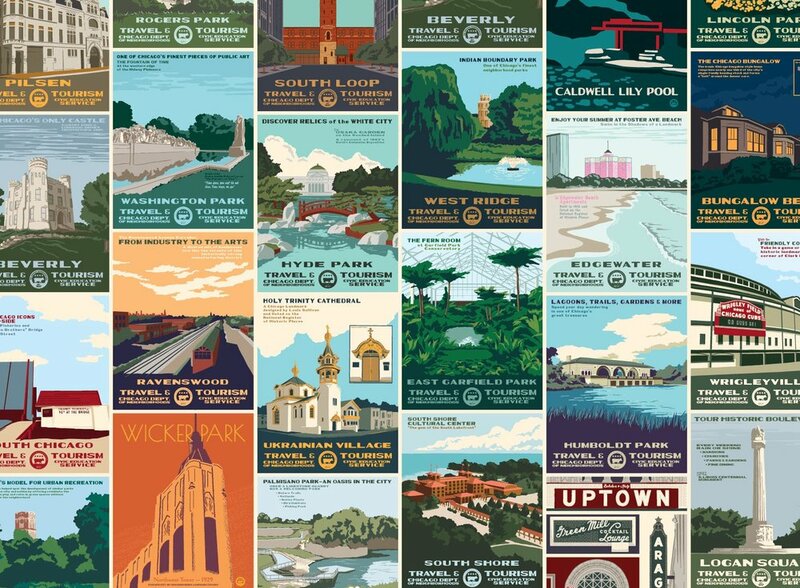 I began by creating logos for 100+ of the city’s neighborhoods, and from there it led to a WPA-inspired “Neighborhood Tourism” print series. While I have stopped creating new logos, the print series continues to slowly grow. Chicago is composed of 77 official community areas and over 200 unique neighborhoods within these areas. Click below to learn more about the city’s various neighborhoods and to view the logos that were created for over 100 of them. Learn more about the history of the WPA’s Federal Art Project, the beginnings of the Neighborhood Tourism Print Series, and suggest a neighborhood to be included in the series.